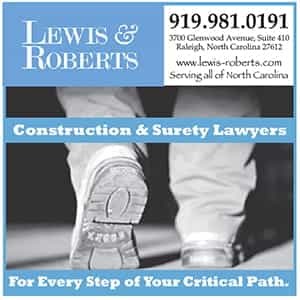 How do you select the top 10 North Carolina construction law practices? The question is much easier to ask than to answer. We took into account several qualities in determining which practices should be included in the list, including: The number of lawyers focused on construction law, published work and articles relating to the industry, and leadership roles within the Construction Law Section of the North Carolina Bar Association (NCBA), as well as within relevant construction associations. It’s hard enough to figure out which practices should be on this Top 10 list, so we won’t try to rank them in any sort of hierarchy. Accordingly, this listing is alphabetical. This well-established firm concentrates its practice on construction law and serving the construction industry. Through 11 lawyers in offices in Raleigh and Greensboro, Conner Gwyn Schenck PLLC serves a wide range of sectors in the industry. Firm members have extensive experience and have leadership roles in construction law and construction industry organizations. Several lawyers at Conner Gwyn Schenck are licensed professional engineers and one is a registered architect. The lawyers at Conner Gwyn Schenck regularly speak at professional, trade and client-focused organizations, and have written numerous articles and publications on construction law. They are the authors of North Carolina Construction Law, a treatise published by Thomson Reuters. Johnston Allison & Hord P.A. Attorneys in the Johnston Allison & Hord Construction Practice Group serve clients throughout the Southeast, but primarily in North and South Carolina, with experience in construction arbitration, mediation and litigation. 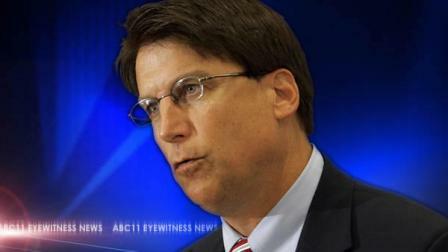 Notably, Charlotte-based attorney B. David Carson is the immediate past-chair of the NCBA’s Construction Law Section. Carson and other attorneys from the practice have served on industry boards, authored textbooks on North Carolina construction and employment law, OSHA regulations and construction claims. Lawyers at this Raleigh-based practice have more than 50 years of combined experience serving North Carolina’s AEC community. Lewis & Roberts provides “common-sense, results-oriented, cost effective guidance at every junction of a construction project, from contract drafting and negotiation, to real-time project counseling, to formal dispute resolution when claims can’t be resolved at the project level.” The firm’s clients include local and regional general contractors, specialty subs, private owners, engineering firms, and bonding companies. Lawyer Matt Bouchard is currently secretary of the NCBA’s Construction Law Section. Nexsen Pruet is one of the Carolinas’ largest law firms. Its comprehensive and extensive construction law team can also draw on other specialists for complex cases. 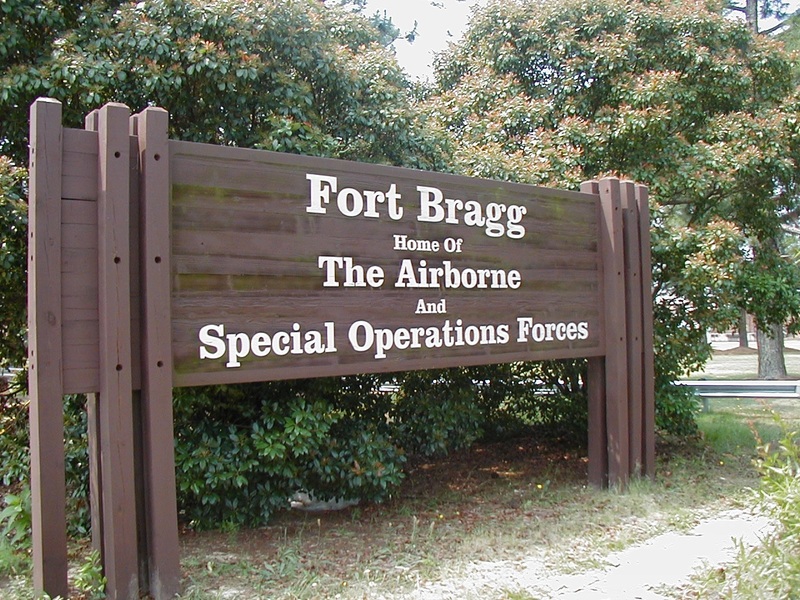 It has offices in Charlotte, Raleigh and Greensboro, as well as Charleston, Columbia, Greenville, Hilton Head and Myrtle Beach, SC. Nexsen Pruet lawyers have broad industry experience. They can handle pre-construction planning, bid packaging, project financing, litigation, including multi-party and complex construction related litigation in state and federal courts, mediation and arbitration proceedings, mechanics’ liens and bond claims, and surety and insurance matters, as well as many other challenging issues. The construction team offers regular seminars for the construction industry. Partner Robert Jason Herndon is chair of the NCBA’s Construction Law Section, leading approximately 600 full and part-time construction lawyers throughout the state. The practice has extensive capabilities within construction and development law. Shumaker is a 260 lawyer firm with offices in Charlotte, North Carolina, Charleston, South Carolina, Toledo and Columbus, Ohio, Tampa and Sarasota Florida and Bloomfield Hills, Michigan. 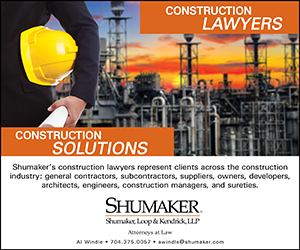 The construction lawyers at Shumaker represent all participants on commercial construction projects, including lenders, owners, developers, general contractors, subcontractors, sureties and suppliers. 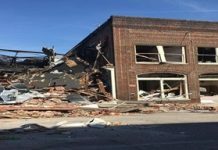 The Shumaker construction law attorneys have substantial experience on all types of commercial construction projects, whether private, city, county, state or federal construction projects, and many different types of project delivery systems. That experience covers, among other things, licensing, competitive bidding, bid mistakes and bid disputes, contract drafting and negotiation, change order disputes, delays, acceleration, differing site conditions, defective work claims, construction claims, liens and bonds. The Shumaker construction law attorneys have successfully prosecuted and defended construction disputes in both litigation and arbitration proceedings throughout the United States. Bryan G. Scott, based in the practice’s Winston-Salem office, is the current vice-chair of the NCBA’s Construction Law Section. Spilman, Thomas & Battle also has offices in Pennsylvania and West Virginia. Its attorneys have experience in utility projects involving power plants, natural gas facilities, and sewer pipelines, as well as other infrastructure projects, such as roads, bridges, tunnels and overpasses. This Raleigh-based practice’s construction lawyers focus on knowing their clients and the construction industry, combining an interest in alternative dispute resolution concepts with a recognition that, if it is necessary to fight all the way to trial, the best strategy is to truly know and understand the client’s circumstances before embarking on the legal journey. Lawyers Jay Tobin and Bob deRosset focus on construction law within the 40-lawyer practice. Wall Templeton Attorneys has offices in Raleigh and Charleston, SC, with an extensive construction law focus. Founding shareholder Keith Coltrain has been recognized for six consecutive years as one of The Best Lawyers in America – a listing first published in 1983 in the leading national publication for attorney referrals. The practice represents clients from all industry perspectives, including owners, sureties, insurers, contractors, subcontractors, designers and suppliers. 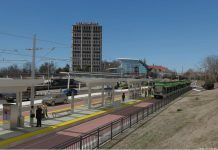 “The issues we tackle are numerous – construction and contract disputes, acceleration and delay claims, risk assessment and avoidance, abandonment claims, disruption claims, consequential damages, insurance coverage disputes, economic and catastrophic loss, employment, debt collection,” the practice says in a statement. Some of Wall Templeton’s attorneys have engineering backgrounds and real-world experience in the construction industry, meaning they can truly understand the issues from practical as well as legal perspectives. This practice has a strong construction industry focus, with a scheduled half-day Sept. 30 industry-related conference in the Research Triangle Park (RTP). Among other topics, three Ward and Smith attorneys will present on legal topics such as construction-related employment law, including piece-rate compensation, the top five things to avoid to minimize contract risk, and best practices for dealing with government investigations.